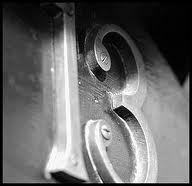 Numerology teaches us that the number 13 has mystical significance. Or maybe it doesn't; I don't know. At any rate, a lot of people seem to think that the number 13 is unlucky in some way, but what they don't know is that you can cancel that luck (you know, the luck that you'll be having today, on Friday the 13th), with additional occurrences of the number 13! That's not just me talking, that's proven fact! So where, you might ask yourself, do you get additional number 13s? Funny you should ask! As it happens, Zombie Dice costs $13.13 and has a stock number of 131313! By pure happy coincidence, it also comes with 13 dice, and you need to eat 13 brains to win. Need a few more? Check out Zombie Dice 2: Double Feature; the stock number there has two more 13s in it. Zombie Dice Deluxe has two more, and is awesome. The Zombie Dice t-shirts don't have any 13s in them, but their mere proximity to Zombie Dice can protect you if you wear them. Don't take my word for it. Go read about the science behind it!